Intel releases the new Intel Optane Memory H10 with solid-state storage using Quad Level Cell (QLC) 3D NAND technology. The new Intel Optane Memory H10 comes in the M.2 form factor. 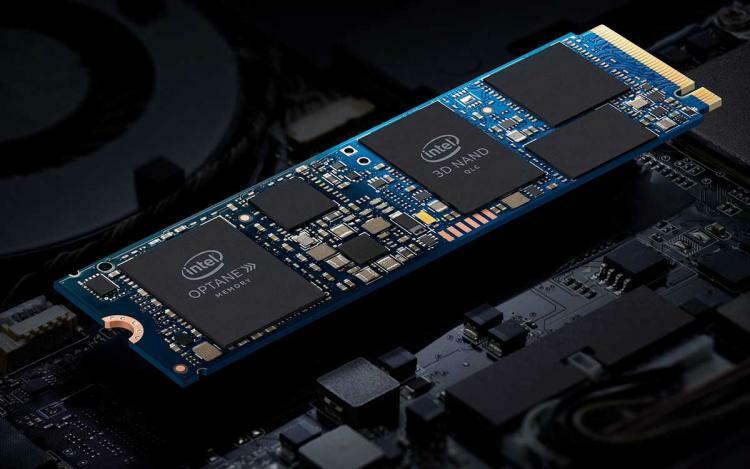 It is an innovative storage device that combines the benefits of Intel Optane technology and QLC 3D NAND technology to create a revolutionary data storage device. The Intel Optane Memory H10 is ideal for thin and light notebooks. The Intel Optane Memory H10 with Solid-State Storage is a combination of high-speed acceleration and large SSD capacity unlike the previous generation Intel Optane Memory. It is designed to fit systems to create, game or work with better responsiveness even with background activity. - Launch documents up to 2 times faster while multitasking. - Launch games 60% faster while multitasking. - Open media files up to 90% faster while multitasking. Learn more about the new Intel Optane Memory H10 with Solid-State Storage here.